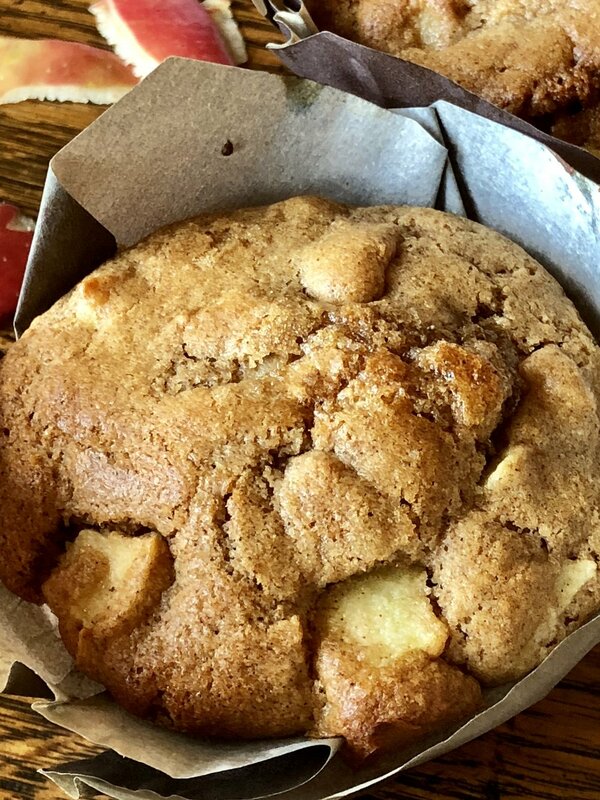 It was a beautiful, but chilly morning here in Colorado, so of course I was craving warm, sweet, apple muffins. Oh my yum! Don’t they just make you feel all warm inside? I adapted these to my glorious mountain altitude from a delicious Smitten Kitchen recipe (Whole Wheat Apple Muffins). Enjoy! 2. Cream butter and sugars. Add egg, and mix, scraping down bowl as needed. Mix in milk. 3. Measure out flour through cinnamon. Add to bowl, thoroughly mix. Add apples, and mix. 4. Divide the batter among the muffin cups. Sprinkle an additional 1-2 Tbsp brown sugar on top to give them a sweet crunch! 5. Bake 10 min. Decrease temperature to 400 degrees convection bake, and bake an additional 3-5 minutes or until centers are cooked.